Thank You to All Who Came Out to PMTS! We had a great time at PMTS 2019, and we want to give a huge thanks to all who attended and came to see us in Booth #3050! In case you missed us, it’s not too late to find out more about Absolute Machine Tools’ cost-effective solutions for all of your precision machining needs. Scroll down to check out the machines we brought to the show and click here to watch the machine demos from our booth! PMTS also kicked off our FREE BARFEEDER promotion with the purchase of any LICO, Nexturn or Quicktech machine! Click here to learn more. This year’s PMTS 2019 was the 10th show! The mission of PMTS is to exhibit the best technology and ideas available in the precision machining industry. More than 300 exhibitors were on hand to showcase products such as CNC machinery, tooling, materials, and software that will allow manufacturers to add and upgrade capacity to meet changing and demanding market trends. Watch the i-42 Robo in Action! Watch the i-42 Ultimate in Action! Watch the LNT42S-S4 in Action! Watch the LND42D-S3 in Action! 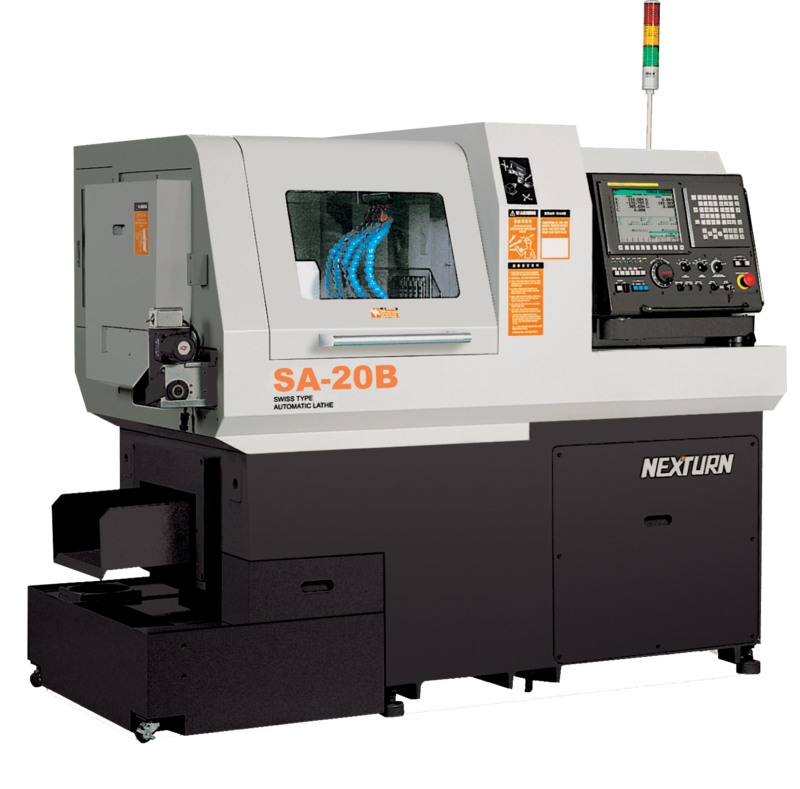 Watch the Nexturn SA-20B in Action! Watch the Nexturn SA-32PYII in Action!